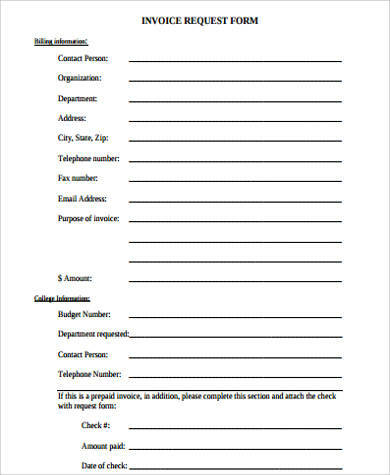 Invoice forms are important documents in business that are used to list purchases of goods or services. They are essential tools to detail the purchase and the payment terms that the seller issues to the buyer. 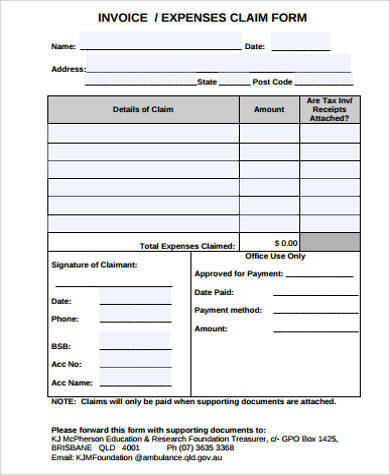 Invoice forms are usually issued with delivery receipts that address to the buyer the details of the transaction and the quantity of goods plus the corresponding price. The name and contact information of the seller, as well as the reference number of the transaction and tax details, are indicated on the invoice issued. 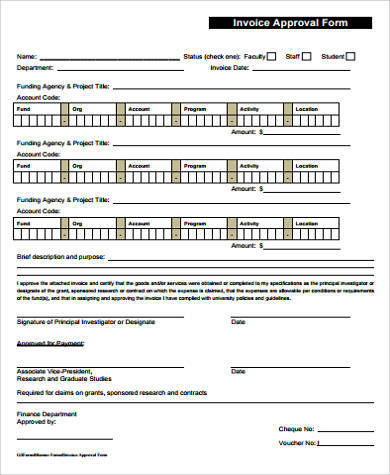 Our website’s Sample Forms are all available for downloading. These can be edited or modified to cover most invoice specifications. 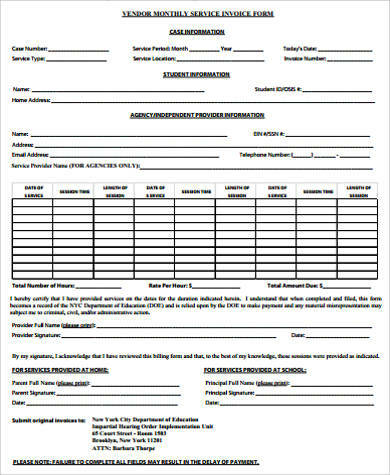 These can be printed and are available through either Microsoft Word DOC or Portable Document Format (PDF) files. 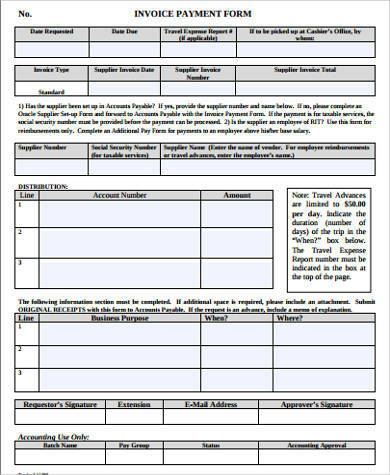 Invoice forms are usually issued whenever there are transactions of goods and services. They can be similar to official receipts, although there’s a real difference between the two and can often be complicated to those who are just starting out in business. In big companies, there are bookkeepers and accounting staff who usually handle invoices for sales and other financial transactions, but what about small businesses? These ready-made invoice forms can come handy and useful to those who are just starting out in business. 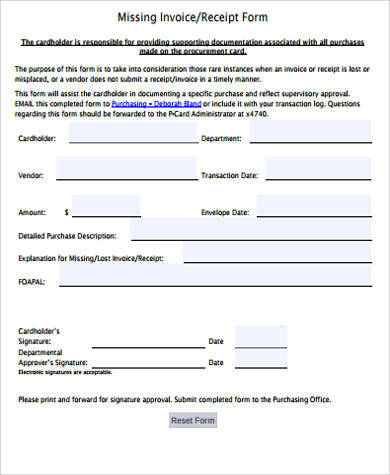 These invoice form samples are convenient, practical, and easy to use. These are functional enough to be used for different kinds of sales transactions or services rendered. There are lots of cases where different kinds of goods require different kinds of invoices depending on the type of transaction being entered into. Sales of vehicle purchases require different invoices from those of common goods that only require basic documentation. 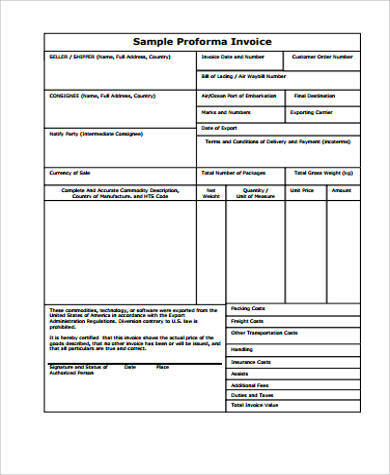 Our form samples offer most kinds of invoices that include a generic invoice form. Most big companies nowadays install a software in their system that automatically generate invoices whenever a sale is being initiated. This type of software can automatically create sales invoices based on existing purchase order receipts. This is used to cut cost and improve efficiency. 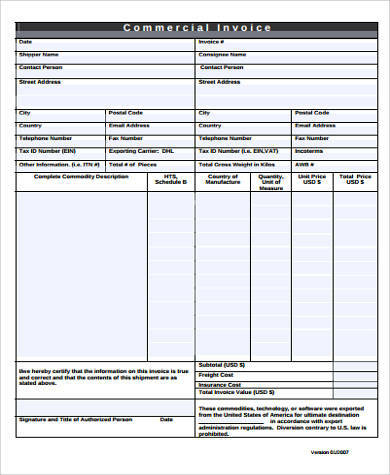 Our invoice form samples also come with a contractor invoice form for contractors who need to bill customers for services being rendered. 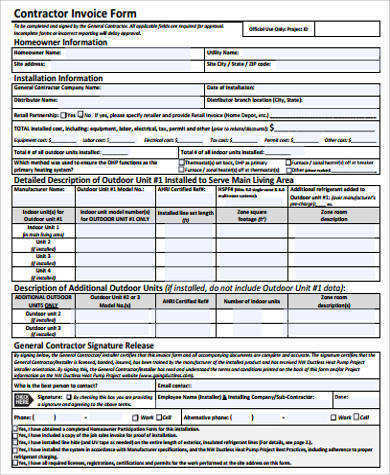 These come in standardized forms that can be filled out in an outline that’s both discernible to both the contractor and customer. For health care providers, pharmaceuticals, and hospitals who need to create a billing system and patient service listing procedure, our website also offers free downloadable Medical Invoice Samples. Besides billing information, these samples can be used for a variety of medical services including information of the services and expenses incurred by patients.